Patty Dobbs Gross received her MA in Educational Psychology from the University of Connecticut, and now blends this knowledge with her twenty years of experience to offer in-person and telephone therapy sessions, as well as to create cutting-edge nonprofit therapy and assistance dog placements with children and facility placements with professionals using North Star dogs as tools to build a child’s animal-assisted therapy and intervention program. Executive Director Patty Dobbs Gross founded North Star as a nonprofit for children in the year 2000, and since this time North Star has created over 300 therapy and assistance dog partnerships with children who face challenges; half the children served have been on the autism spectrum, with the rest to children who have suffered a loss, survived a trauma or are dealing with a serious illness. North Star dogs are bred for soundness as well as temperaments conducive to working with children with social and emotional concerns. They are then carefully integrated into their children’s life with them included on the ground floor of training and socialization right from the start. The North Star pup is seen as a therapeutic tool to fashion a home program for a child to enrich their social and emotional opportunities for growth and pragmatic (language) development. The true cost of a North Star placement with public access is $15,000, or $10,000 for the more limited public access of a therapeutic placement. Families served are required to raise just half of true cost, with both levels of service including home visits to enrich the therapeutic aspect of the partnership. Patty also sees clients privately, or in small groups (such as with marriage or family therapy) at the main North Star facility for a suggested donation to North Star Foundation of $50 per hour. Check or money order should be made out to “North Star Foundation”, or made as an online donation here on this site (please note: no cash, gifts or personal donations will be accepted). 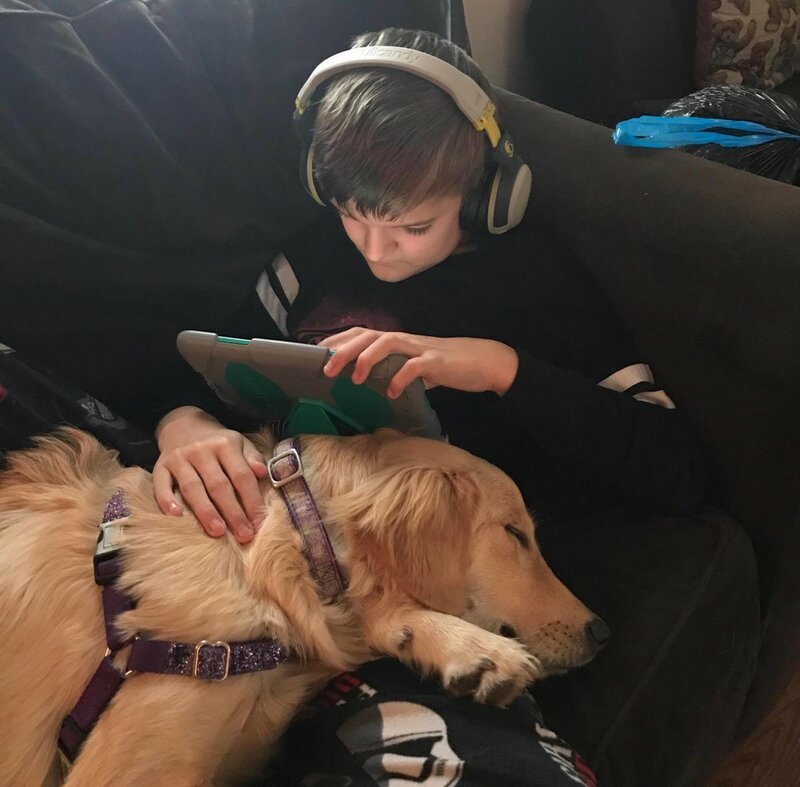 Patty’s practice focuses on developing alternative forms of communication with children, and developing pragmatic solutions using animal-assisted therapy within the family system. Evidence-based approaches to developing alternate forms of communication are used, and North Star’s philosophy of placement is to always keep the child central to our services. Solutions to anxiety and emotional deregulation in children often require a blend of mind and body approaches, with more than one therapy considered...alternative forms of therapy such as music, yoga, occupational or animal-assisted therapy are used, depending on the child served. Great care is always taken to respect sensory and individual differences, and all services rendered are for suggested donations to North Star Foundation, to be certain this field remains affordable to all children who would benefit from it. Patty’s daughter, Jen, practices yoga therapy, and has been certified to work with North Star children via her Kid Calm training and Breathe Deeply yoga training. Jen also works with children with high anxiety levels, through her work with thyroid yoga. She specializes in working with people with conditions such as autoimmune disease, generalized anxiety disorder, and depression, using a blend of mindfulness, yoga and breath work. Please call Patty at (860) 423-0664 to set up a telephone or in-person consult. Free DVDs and brochures are available upon request, as education is an important part of our mission.